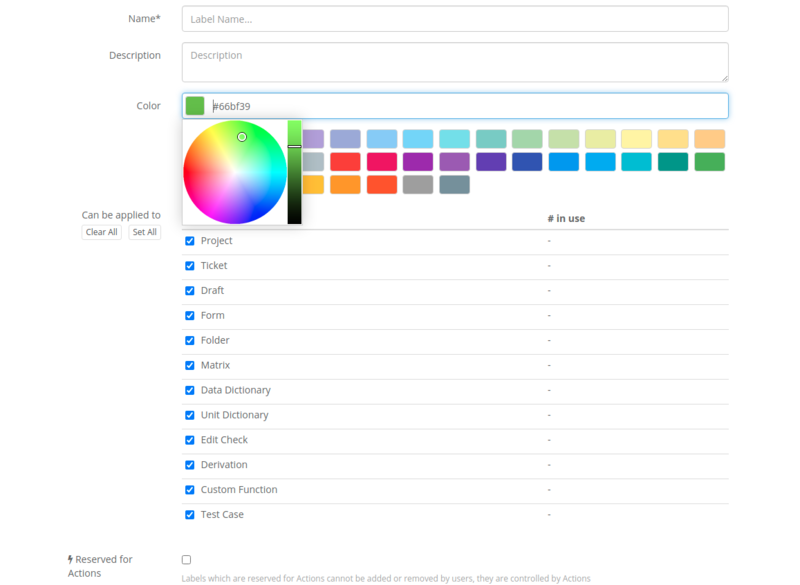 Labels are created at the URL level and have a name, description and an assigned color. In order to create or edit a Label the user must have the URL level Labels permission. In the list of Labels, the In Use column shows how many objects are assigned this Label across all Projects for the URL.